If you've been keeping tabs on next season's runways, you'll know that shorts are back in a big way - from Bermudas to A-line styles like MDS Stripes' pair. 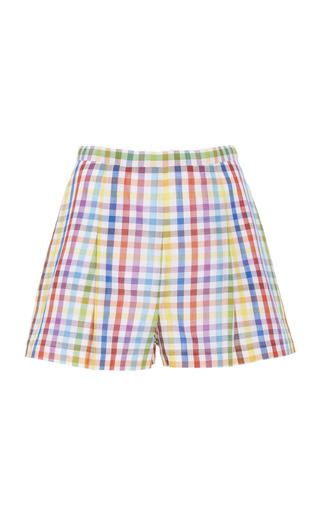 This high-waisted style is tailored from fine Italian cotton printed with rainbow gingham checks. They're detailed with neat front pleats and lined for coverage. Complete the set with the matching top.